All of Santa's stationery is printed using traditional printing methods on beautiful vintage presses. The letters are then made by hand in Buckinghamshire. A beautiful red band, foiled with gold is wrapped around every letter, before each one is lovingly placed in a pretty envelope and is sent on its way to the excited recipient. The techniques used and the attention that goes into making each letter, makes them feel truly authentic. The Classic Letter keeps it simple and authentic. The letter is completely personalised to the recipient - what better way to make Christmas truly magical? 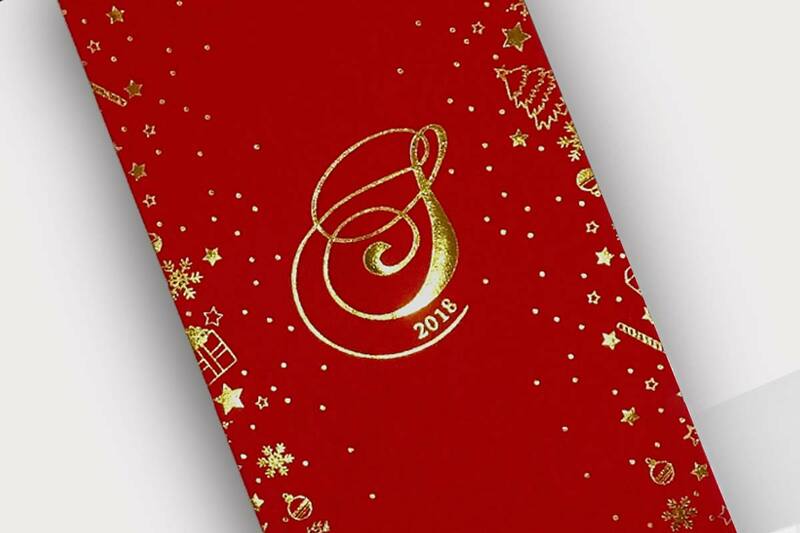 The letter is then wrapped up with a gorgeous band, printed with Santa's stunning logo which has been pressed in gold foil on our vintage press, before being popped in a beautiful North Pole postmarked envelope. 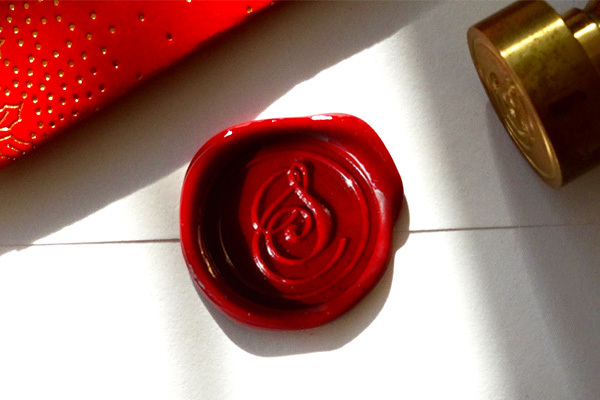 Made in the same way as the beautiful Classic Santa Letter, the Original Santa Letter is made all the more fabulous with the addition of a beautiful wax Santa seal that needs to be opened before being able to read the contents. Every child wants to make it onto the big mans Nice List, so why not make their day by adding a 'Nice List Certificate' to their beautiful letter? This includes the childs name, and is made official with signatures from the North Poles top team - the big man himself, the Chief Elf, and Head Reindeer, Rudolph. 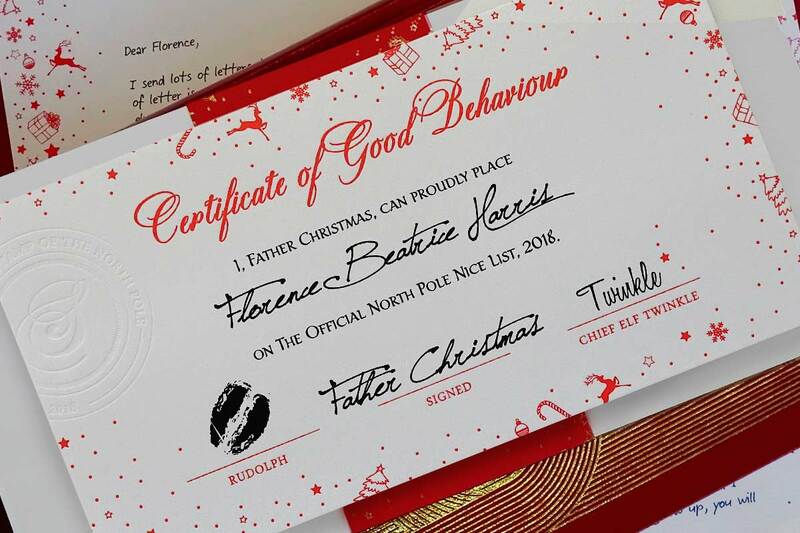 The personalised certificate is given the North Pole stamp of authenticity, before it is popped inside the letter and sealed with a stunning wax Santa seal.